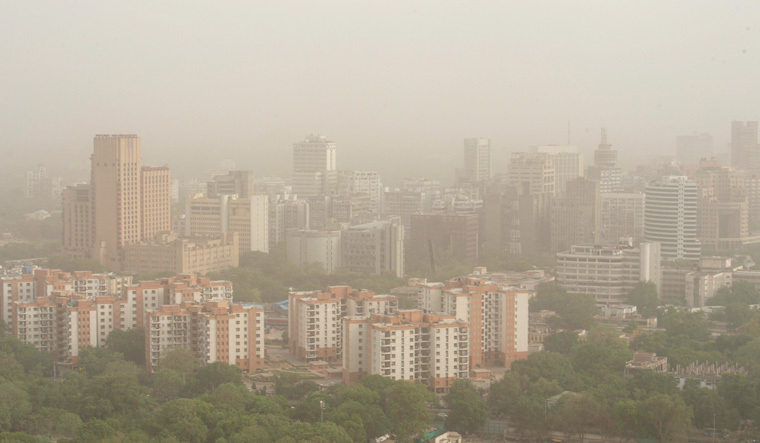 A China-based technology company has developed a novel laser-powered device that it says can accurately monitor indoor air quality in real time, and is specially engineered for conditions in India, which is grappling with a high burden of air pollution. The monitor called Sensedge empowers commercial building owners and households to accurately measure the quality of air indoors and work towards improving it, the company said. Concerns about air quality have been rising in India and there is an urgent need to invest in healthy buildings since people spend most of their time indoors, Liam Bates, co-founder of Kaiterra, which developed the device, said. According to a World Health Organization (WHO) report released in May, 14 Indian cities figured in a list of 20 most polluted cities in the world in terms of fine particulate matter (PM2.5) levels in 2016. The new monitor provides real time, accurate monitoring of PM2.5, carbon dioxide (CO2), total volatile organic compounds (TVOC), temperature, and humidity. The air quality monitor, which was launched here recently, is engineered to meet the globally recognised RESET Air Standard for Commercial Interiors in India, the company said. "The device uses a real-time calibration update system based upon geographic location. Our calibration settings include India so the devices are accurate in India," Bates said. This, Bates noted, means that the monitor will set the right calibration as per the location the device is set to when the user pairs it and starts using it. "Sensedge avoids a time-consuming annual calibration, which can cost weeks of data records," Nita Soans, CEO-Kaiterra India, said. The device makes use of laser technology to measure particles. This is done by drawing air into the monitor, and when particles in the air hit the laser, they are diffracted onto a sensor. This allows the monitor to count and measure every individual particle in real time. A study published in the reputed medical journal, The Lancet, last year noted that over 2.5 million people died prematurely in India in 2015 due to diseases linked to air, water and other forms of pollution. "Sensedge accurately monitors air quality on a real-time basis, thus enabling users to more rapidly make healthier decisions for their indoor environment," Bates said. The device also has end-to-end encryption for secure data transfer; continuous data collection via a cloud-based server and local storage. "With the introduction of the Sensedge in India we look forward to bringing the commercial buildings segment a product that is much better suited to their needs and much easier to maintain," Soans said. "Companies are exploring how their investment in healthy buildings affects people's cognition and productivity. But there is still a lot that needs to be done to increase awareness," she said. Sri Lanka blasts: Did state fail to act on intelligence report?